The Archbishop’s Council meets on a monthly basis to give an account of the areas of pastoral concern entrusted to each Vicar Episcopal by the Archbishop and to offer him counsel when requested. 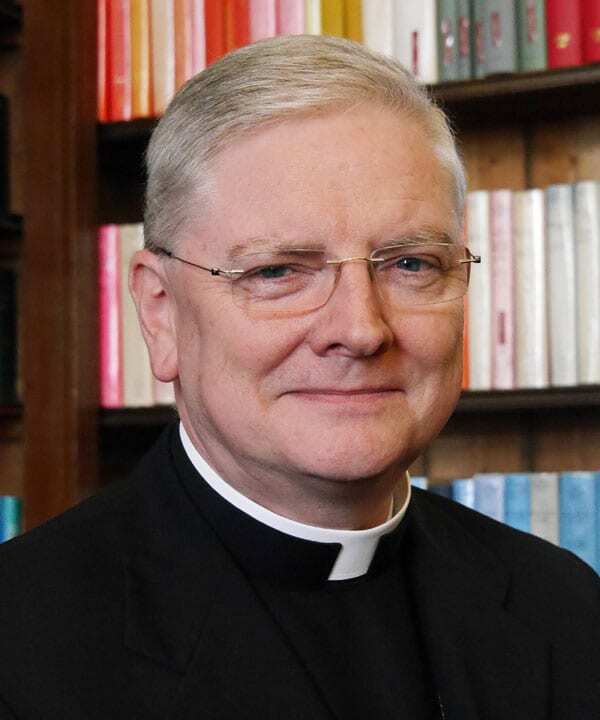 The chief pastor of the Archdiocese of St Andrews & Edinburgh is Archbishop Leo Cushley whose authority derives from being a direct successor of Christ’s Apostles in communion with the Holy See. Prudently, Archbishop Cushley seeks to fulfil his role as chief pastor with the help and assistance of both the lay faithful and clergy. He has therefore delegated some of his responsibly as chief pastor to proven local pastors, by appointing five of them as Vicars Episcopal for five areas of pastoral concern: Catechetics; Marriage and Families; Caritas, Justice and Peace; Ecumenism and Interfaith; and an Office for Clergy and Religious. Each Vicar Episcopal chairs a commission composed of a number of qualified Catholic laywomen, laymen, religious and clergy in the particular field entrusted to them. This is done on a voluntary basis. The five Vicars Episcopal, together with two of the volunteer lay members of their respective commissions, also form the Archdiocesan Pastoral Council. The role of the Archdiocesan Pastoral Council is consultative and aims to help and advise the Archbishop in his governance of the diocese. A Vicar General is the highest official of a diocese after the bishop. 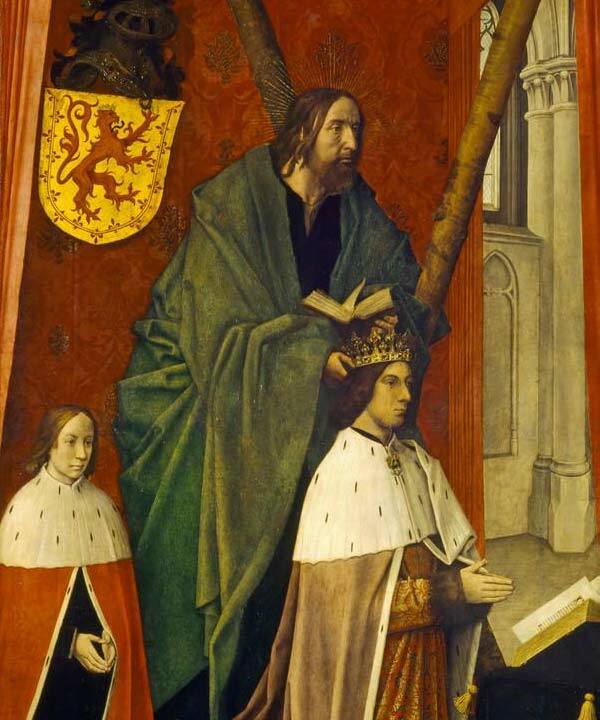 He is a cleric legitimately deputed to exercise generally the episcopal jurisdiction in the name of the bishop, so that his acts are reputed the acts of the bishop himself. He should be an experienced priest of excellent moral character. The Archdiocese of St Andrews & Edinburgh currently has two Vicars General: Monsignor Patrick Burke VG and Monsignor Allan Canon Chambers VG. 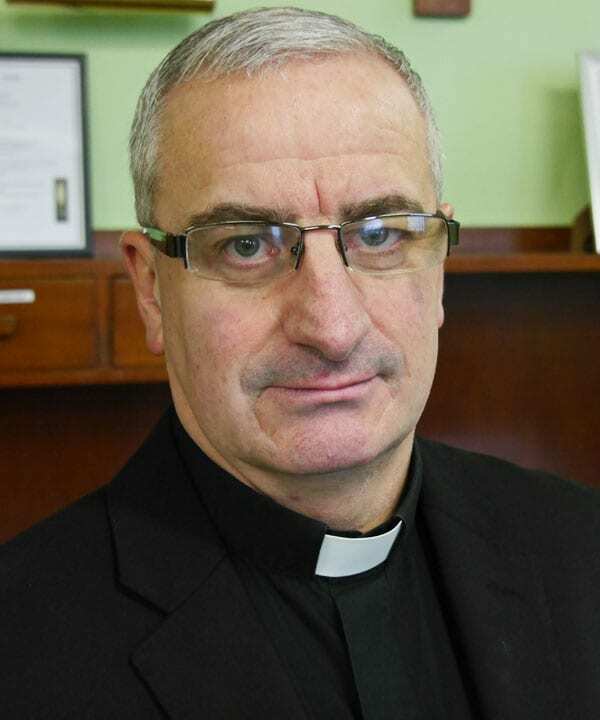 Monsignor Patrick Burke VG is the Administrator of St Mary’s Metropolitan Cathedral in Edinburgh. A graduate of St Andrews University, he studied for the priesthood at the Pontifical Scots College in Rome and was ordained in 1991. He has since served in parishes in West Lothian, Fife, Stirlingshire, and Edinburgh. Monsignor Burke worked in the Vatican’s Congregation for the Doctrine of the Faith from 2005 to 2013. He has a doctorate in Dogmatic Theology. Meanwhile Monsignor Allan Chambers VG is the parish priest of St Mary’s & St Columba’s in Bathgate. Educated at St Andrew’s College, Drygrange, Roxburghshire, he was ordained to the priesthood in 1980. He has since served in parishes in Edinburgh, Midlothian, and West Lothian and was a prison chaplain for 16 years. During his time in West Lothian, Monsignor Chambers has chaired the local Children’s Panel and served as a Justice of the Peace. He is also a qualified Scottish Football Association referee. "Thus it is absolutely clear that ecumenism, the movement promoting Christian unity, is not just some sort of "appendix" which is added to the Church's traditional activity. Rather, ecumenism is an organic part of her life and work, and consequently must pervade all that she is and does; it must be like the fruit borne by a healthy and flourishing tree which grows to its full stature,” (Pope Saint John Paul II, Ut Unum Sint, 25 May 1995). To have devolved responsibility for Ecumenism and Interfaith issues within the Archdiocese according to the will of the Archbishop. To build and develop an Archdiocesan approach to Ecumenical and Interfaith issues at clergy and lay level. To establish clear communication with the contact people of other Christian traditions and other religions. To inform and enlighten the Catholic clergy as to what the magisterium expects of us in terms of Ecumenism and Interfaith. To promote key events throughout the calendar year i.e. Week of Prayer for Christian Unity, World Day of Prayer, Remembrance Day and Advent Joint Services. To establish and recruit suitable laypeople to sit on the Ecumenical Commission. To outline a three-year programme of development and mission for the Archdiocese relating to Ecumenism and Interfaith. To contribute towards the Executive Policy of the Archbishops’ Council in furthering the overall Pastoral Mission of the Archdiocese. To go around the Archdiocese and dialogue with our clergy about how to deal with Ecumenism and Interfaith issues along with all the other responsibilities of parish life. To, where appropriate, attend training and development synods, courses, conferences to enlighten my knowledge of Ecumenism and Interfaith. 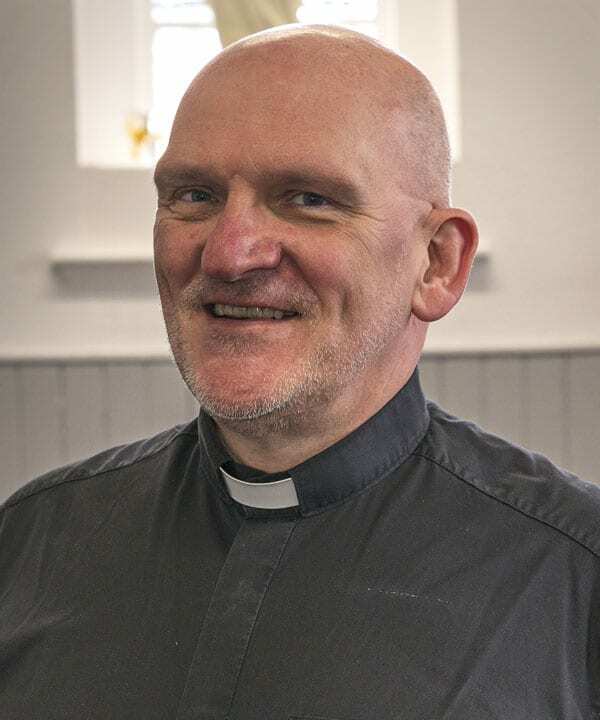 The Vicar Episcopal for Ecumenism and Interfaith Dialogue within the Archdiocese of St Andrews & Edinburgh is the Very Reverend Jeremy Bath VE. Father Bath is the parish priest of Saints John Cantius & Nicholas in Broxburn and St Philomena’s in Winchburgh. He trained for the priesthood at Gillis College, Edinburgh, gaining a Bachelor of Sacred Theology degree from the Catholic University of Louvain in Belgium. He was ordained in 1993 and has since served in parishes in Stirlingshire, Roxburghshire and West Lothian. Prior to entering seminary, he worked for Royal Bank of Scotland for 9 years. His hobbies include walking, cycling and reading. There are no resources at the moment, check back soon. 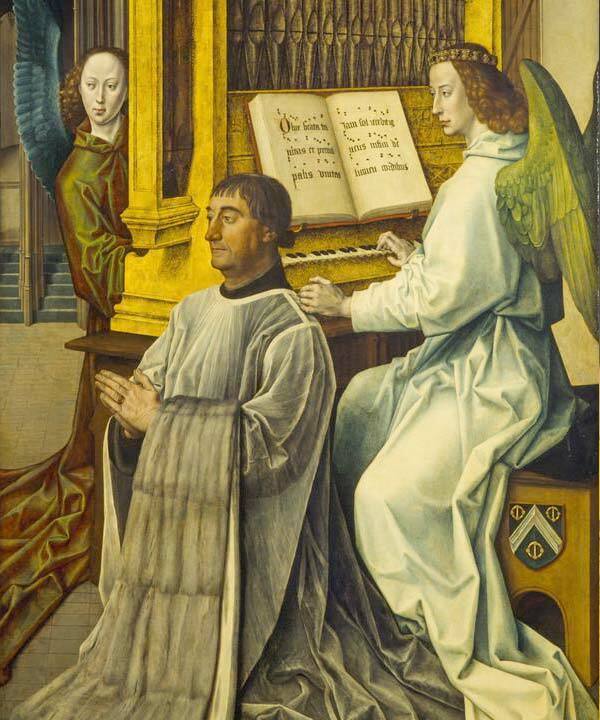 “The office of priests, since it is connected with the episcopal order, also, in its own degree, shares the authority by which Christ builds up, sanctifies and rules his Body. Wherefore the priesthood, while indeed it presupposes the sacraments of Christian initiation, is conferred by that special sacrament; through it priests, by the anointing of the Holy Spirit, are signed with a special character and are conformed to Christ the Priest in such a way that they can act in the person of Christ the Head,” Blessed Pope Paul VI, Presbyterorum Ordinis, 7 December 1965. To be the "go-to" person for clergy and religious in crisis. To be available to meet and advise clergy on matters of health and wellbeing, and to actively take an interest in the welfare of individual clerics and religious. To promote the life, work, interest and concerns of women and men Religious in the Diocese. To work with the Safeguarding Advisor in supporting clerics and religious who have been accused or who are out of ministry. To advise the Archbishop of welfare issues concerning clerics and to be available to be consulted by the Archbishop about appointments. To develop a programme of formation for newly ordained priests (the "under-fives"). To coordinate, in consultation with the Archbishop and the VG's, the arrival and integration of foreign clergy. To develop a strategic policy in matters relating to care of the clergy according to the vision and priorities of the Church and of the Archdiocese. The Vicar Episcopal for Clergy and Religious within the Archdiocese of St Andrews & Edinburgh is the Very Reverend Jamie Boyle VE. 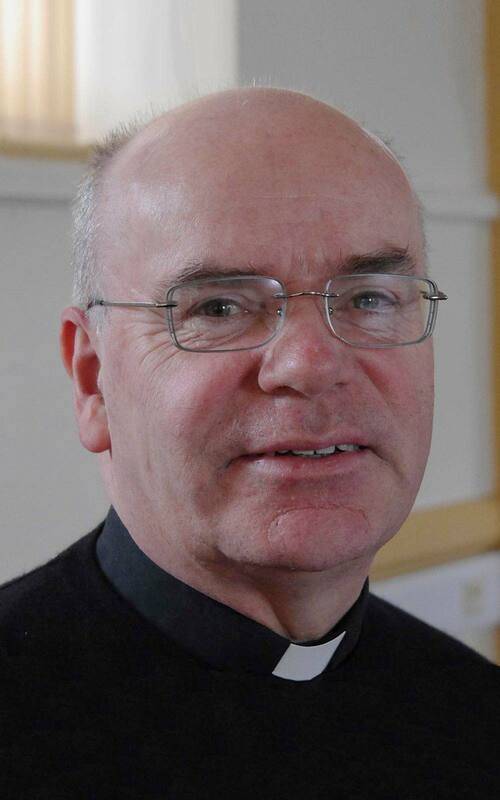 Father Boyle is the parish priest of St Francis Xavier, Falkirk; St Mary of the Angels, Camelon; and St Anthony’s, Polmont. A native of Rosyth in Fife, he trained for the priesthood at Scotus College, East Dunbartonshire. Father Boyle was ordained to the priesthood in 2003. Since then he has served in parishes in Stirlingshire, West Lothian, Edinburgh. “Charity in truth, to which Jesus Christ bore witness by his earthly life and especially by his death and resurrection, is the principal driving force behind the authentic development of every person and of all humanity. Love — caritas — is an extraordinary force which leads people to opt for courageous and generous engagement in the field of justice and peace. 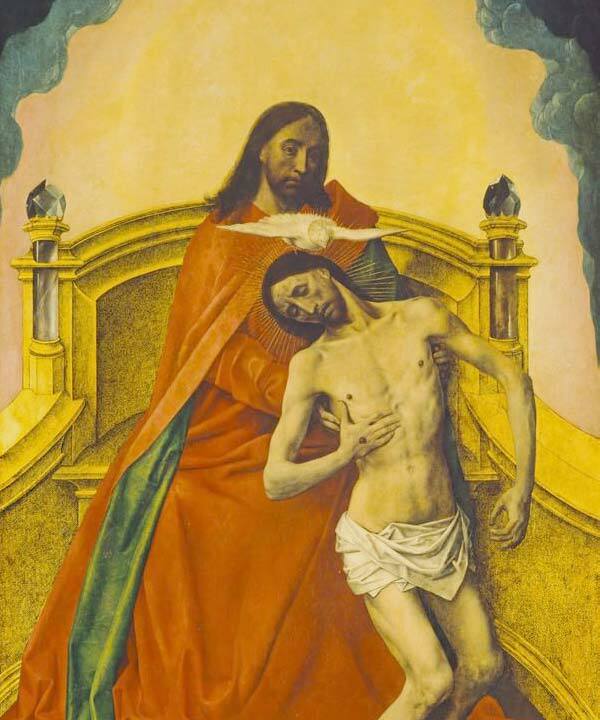 It is a force that has its origin in God, Eternal Love and Absolute Truth,” Pope Benedict XVI, Caritas in Veritate, 29 June 2009. To develop a strategic policy in matters relating to integral human development especially for the poor and disadvantaged, according to the vision and priorities of the Church and of the Archdiocese. To form and lead the Archdiocesan Commission on Caritas in its role of articulating the Church’s vision of solidarity and social and economic justice and peace and supporting those involved in the relief of poverty and in responding to emergencies. To ensure effective communication between the Commission and all those involved in local Caritas or Justice and Peace Groups, and to provide them with support and resources. To promote the establishment of local parish Caritas Groups and to foster the involvement of volunteers in the work of these groups. 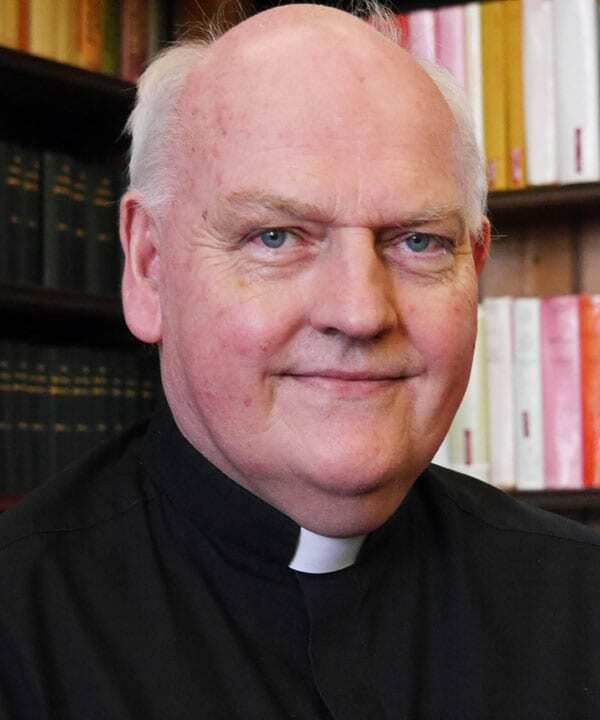 The Vicar Episcopal for Caritas, Justice and Peace within the Archdiocese of St Andrews & Edinburgh is the Very Reverend Basil Clark VE. 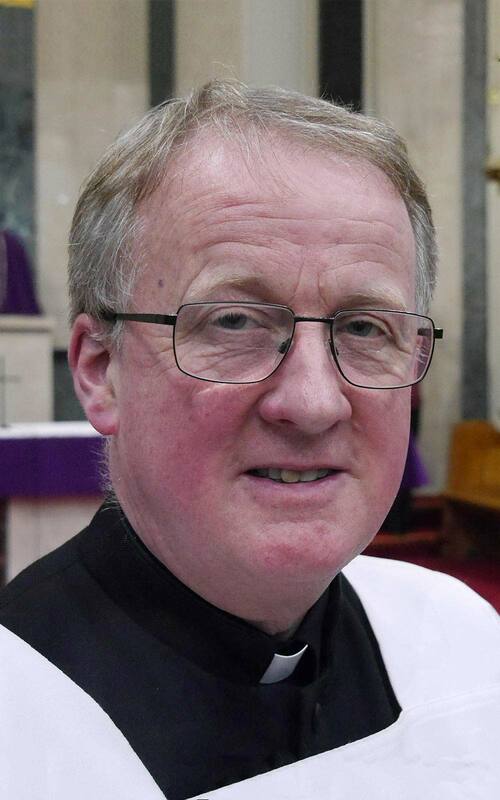 Father Clark is the parish priest of Our Lady of Loretto and St Michael in Musselburgh, East Lothian, and St Mary’s in Pathhead, Midlothian. He grew up in Clydebank, Dunbartonshire, and studied at Glasgow University where he gained an MA in Politics and Religious Studies. A former Anglican Franciscan, the then Brother Basil was the founding director of the Rock Trust, an Edinburgh charity that works with young people who are homeless or at risk of becoming homeless. He was received into the Catholic Church in 1993. Father Clark studied for the priesthood at the Beda College in Rome, gained an STB from the Angelicum University and was ordained in 2000. Since then he has served in parishes in Stirlingshire, West Lothian, Peeblesshire, Roxburghshire, Selkirkshire, Midlothian and East Lothian. His hobbies include Gardening and Reading. 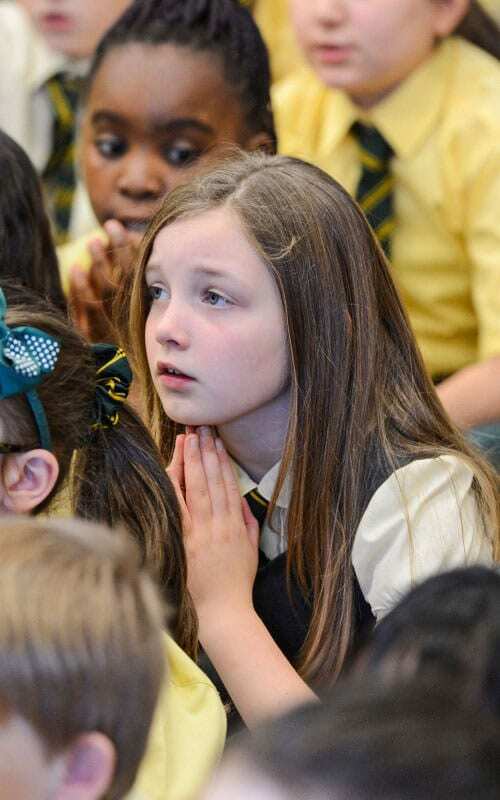 To develop a strategic policy in matters relating to children’s liturgy, and youth and adult faith formation, according to the vision and priorities of the Church and of the Archdiocese. To form and lead the Archdiocesan Commission on Catechetics in its role of resourcing and coordinating those involved in providing and enabling youth and adult faith formation. To ensure effective communication between the Commission and all those involved in catechetical work in the Archdiocese, and to provide them with support and resources. To co-ordinate the Archbishop’s Youth Initiative. 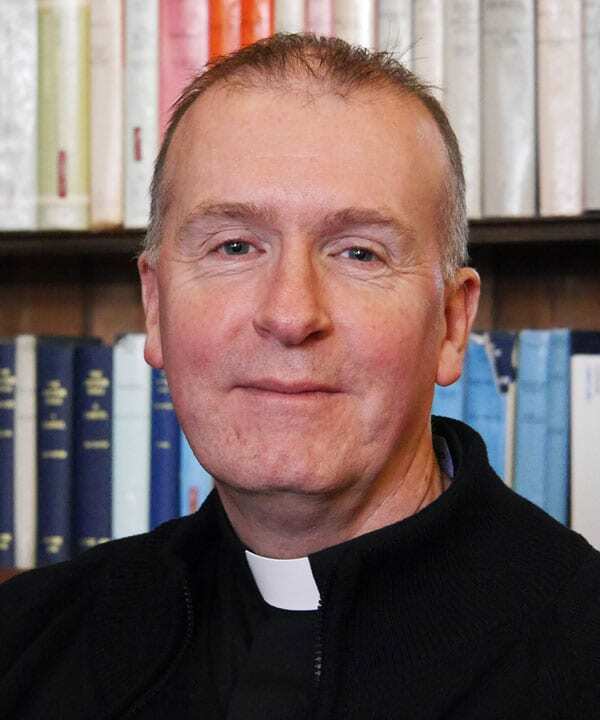 The Vicar Episcopal for Catechetics within the Archdiocese of St Andrews & Edinburgh is the Very Reverend Daniel Doherty VE. Father Doherty hails from Falkirk and studied for the priesthood at Scotus College in East Dunbartonshire. He was ordained in 1998. Since then he has served in parishes in Fife, Edinburgh and Stirlingshire. To develop a strategic policy in matters relating to marriage and family life according to the vision and priorities of the Church and of the Archdiocese. To form and lead the Archdiocesan Commission on Marriage and Family Life in its role of articulating the Church’s vision of marriage and family and supporting those involved in this vocation. To ensure effective communication between the Commission and all those involved in the ministry of the sacrament of marriage, and to provide them with support and resources. To oversee and coordinate the work of the Archdiocesan Pro-Life Office and the Archdiocesan “Courage” Apostolate. 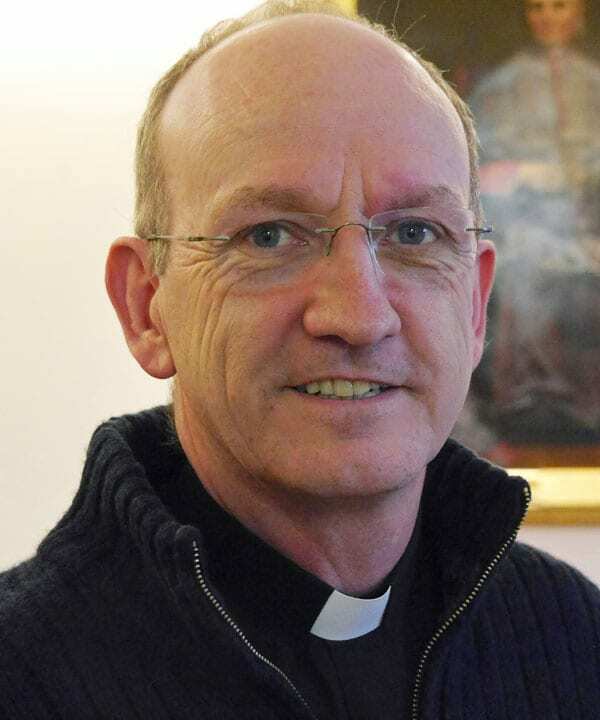 The Vicar Episcopal for Marriage & Families within the Archdiocese of St Andrews & Edinburgh is the Very Reverend Jeremy Milne VE. Father Milne grew up in Kent and moved to Scotland in 1992 to study at Edinburgh University. There he gained both a BSc and a PhD in Ecological Science. He was received into the Catholic Church in 2006 and studied for the priesthood at the Beda College in Rome prior to being ordained in 2012. Since then he has served parishes in both Roxburghshire and Edinburgh. In his spare time Fr Milne enjoys country and hill walking.